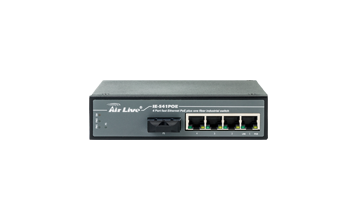 For AirLive Industrial Switch, Reliable is what we consider first when we develop this product line. 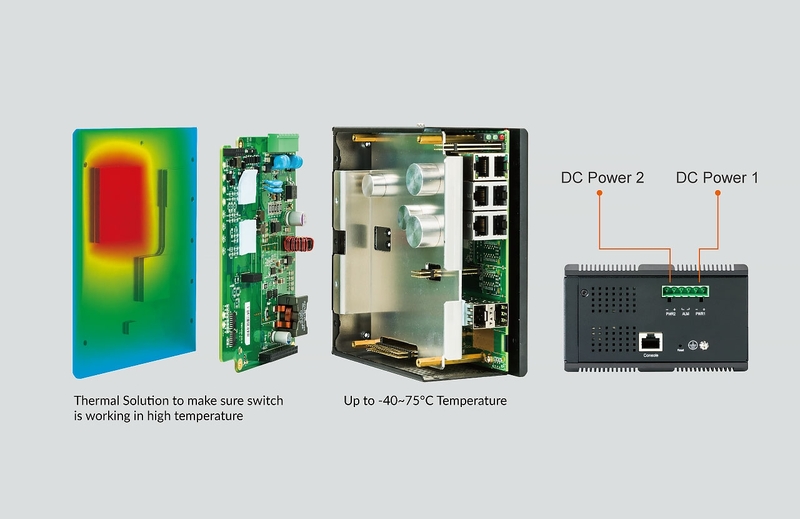 In Hardware Design, we make sure our devices can continue work at wider temperature range even Poe function is enabled at all ports. 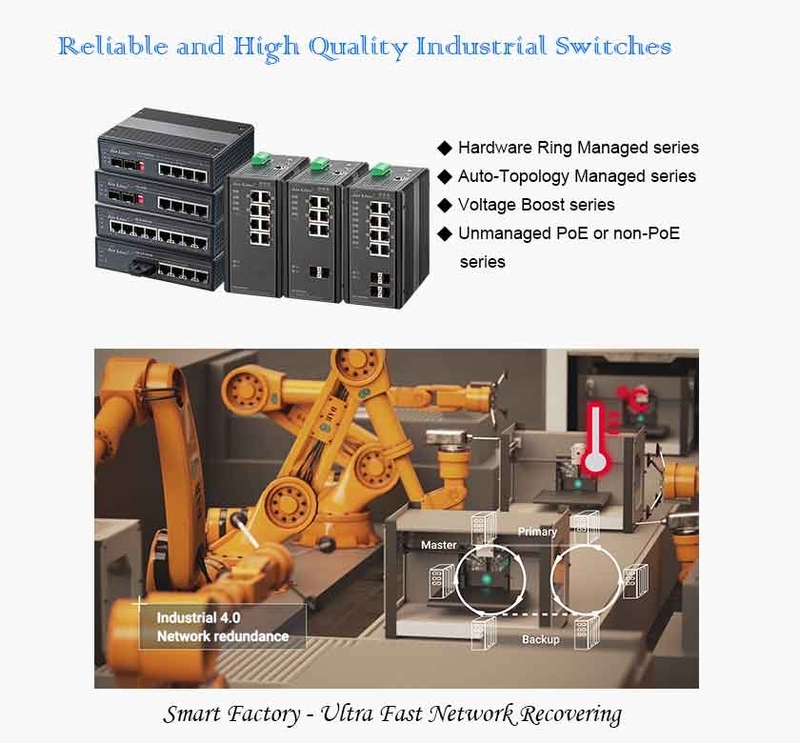 In Network reliability, except the standard STP protocol, we develop the H/W based network failure recovery protocol. When the network cable is down, the whole network can recover back to normal in less than 20ms. 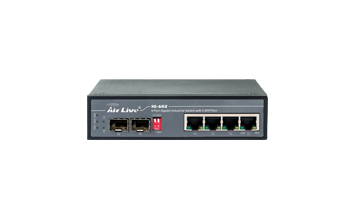 Moreover, AirLive specific network failure recovery protocol can work in large network scale and complex network structures. 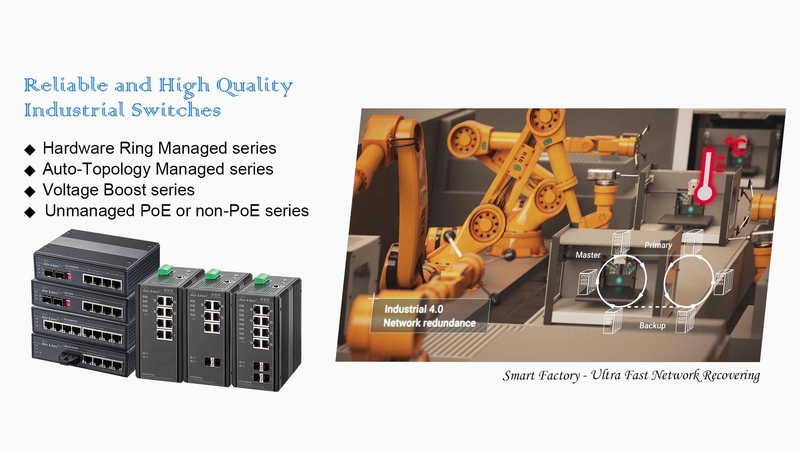 In Industrial Internet of Things (IIoT) applications, system downtime causes loss of productivity. 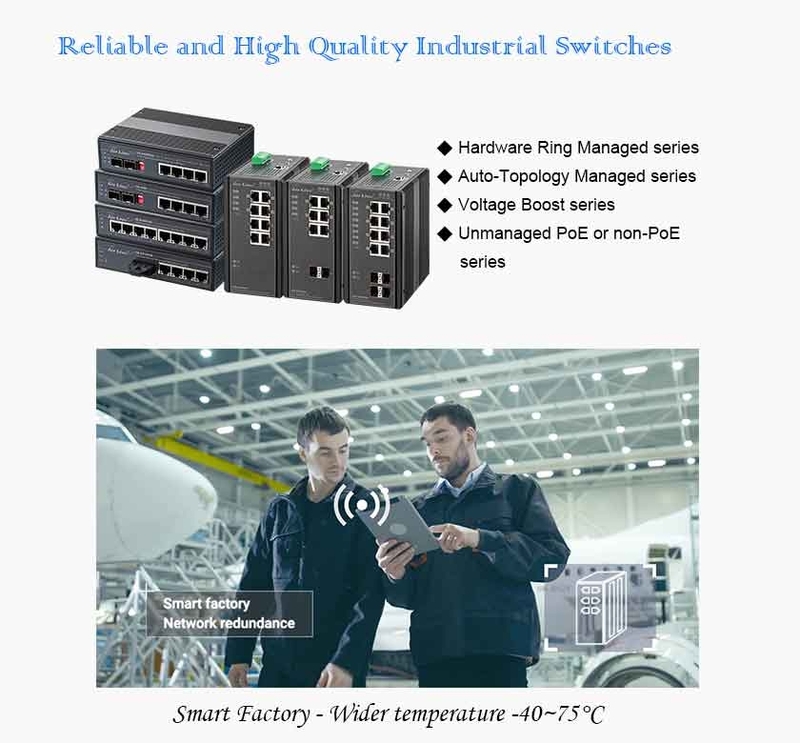 Normally, industrial environments are often located in remote areas and connected to a distant control center, making on-site maintenance and troubleshooting more challenging and more expensive. 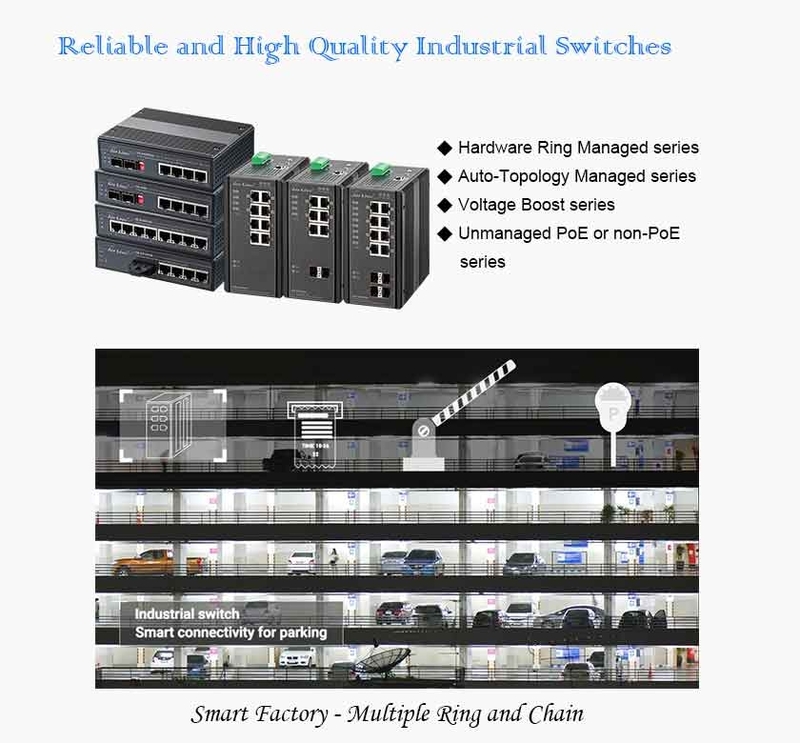 AirLive Industrial Ring Managed Switches, which embeds specific H/W to detect network status, can achieve millisecond-level network recovery, users are assured of network reliability and reduce maintenance cost. 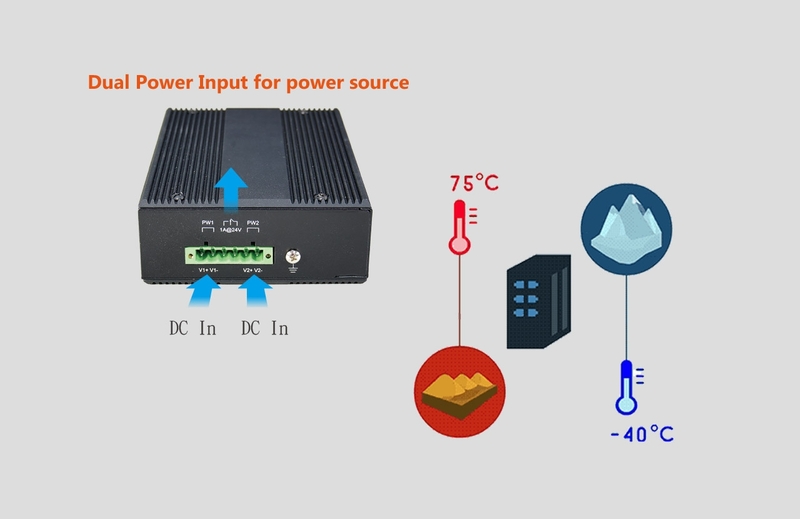 Power fault will cause switches shot-down instantly. This require technicians solve the problem on site and it would take few hours. 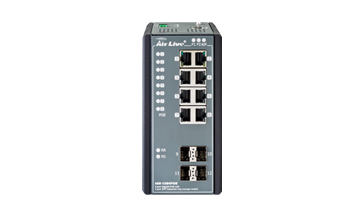 All of AirLive Industrial Switches allow two power input, When the one of the DC power is fail, the switches are still working. Meanwhile, the Relay in switch will be trigger to external buzzer to remind users. 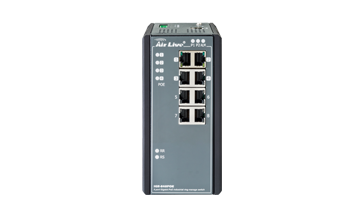 AirLive Industrial Switches can operate from -40c ~ 75c degree. 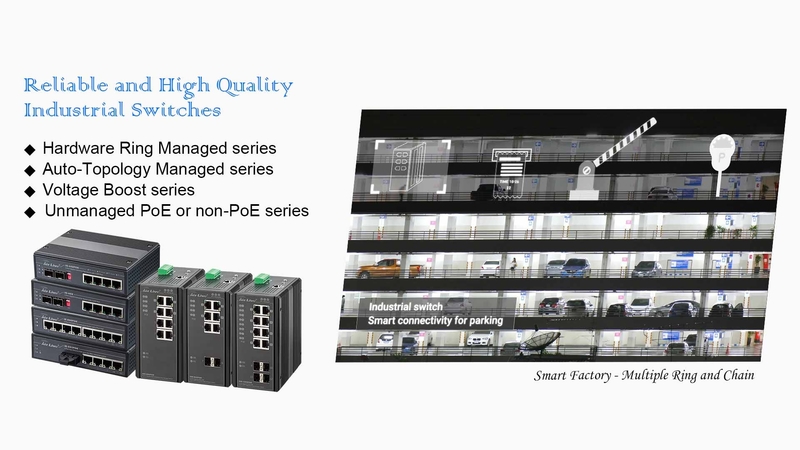 It is the ideal solution for applications which work under hash environment and require stable network and PoE power such as parking lot or IP surveillance. 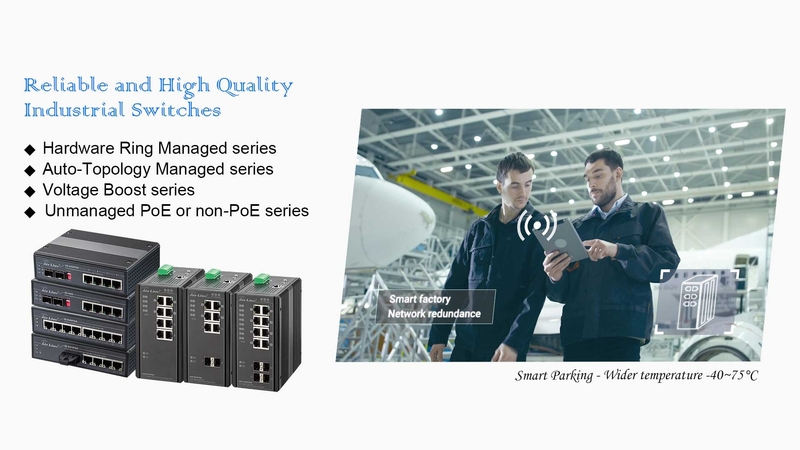 To provide the smart Ethernet connectivity application , automatically back-up is important. 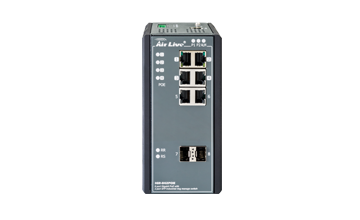 AirLive Industrial Ring Managed Switches provide both network and power redundancy. 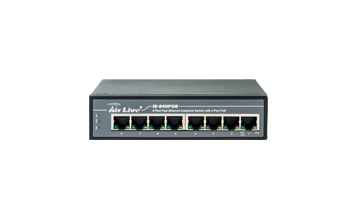 It is essential products for your network.